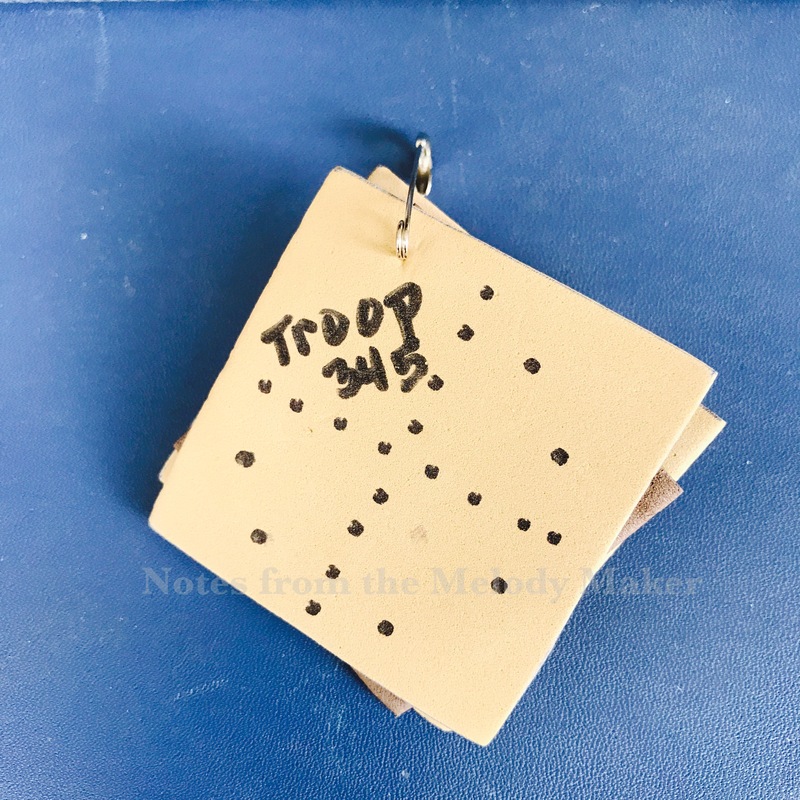 Once again, I am sharing the script of our troop’s ceremony because although I found many work plans on how to create a Court of Awards ceremony, I didn’t find an exact script or agenda, and I need a agenda. Remembering these are Brownies, their idea of planning an awards ceremony is to determine whether they have chocolate or vanilla cupcakes, what song they want to sing and whether they will do the hand motions during the song. While girl led, there is still a lot of leader planning. We wanted to make them feel proud of their participation and accomplishments during the year. Also, due to the late arrival of cookie awards, we decided to hold them for the awards ceremony. Please feel free to use the script below as you like for your Court of Awards. Inspiration has been found in many places but ultimately, busy leaders might need something simple they can plop down into their own setting. We happen to have three leaders, but this can be adapted to any number of leaders. 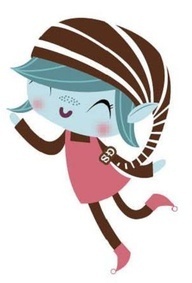 The portion on the Law can also be adapted to your needs – we decided to work on each girl fully memorizing the Law and when they were able to recite it during a meeting, they were awarded with the cute ELF doll available from Council. Our final two girls earned their doll during the awards ceremony. Explore, take Action and Fly! Once our awards and patches were organized by girl, we laid them out on the table to make it easier for the leader making that portion of the presentation. 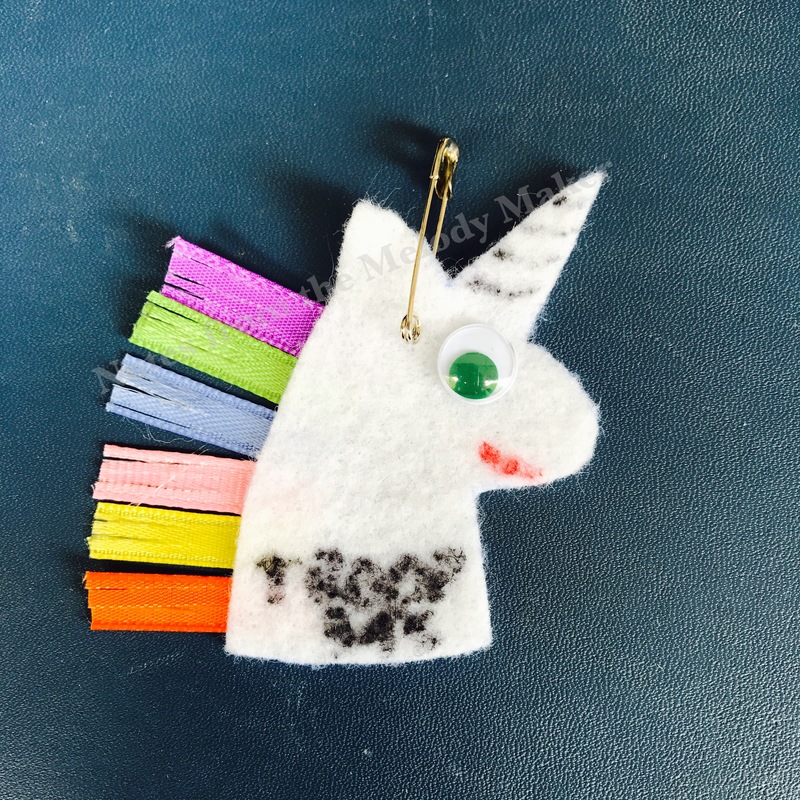 Each item is stapled to the 2″ wide grosgrain ribbon and the girl’s name is written at the top. The girls loved these and they looked great holding them up in photos too! Look at all the awards! Girls form up in a horseshoe in the front of the room. [Leader #1] Today, we will be presenting the girls with awards they have earned this year through their hard work and dedication to Girl Scouts. But before we get to the awards, we will begin with our Pledge of Allegience and Promise. [Leader #2] During the year, the girls have been working on memorizing the Girl Scout Law and reciting it on their own for a prize. Tonight, two girls will recite the Law so that they can receive their special ELF doll. Girl Name and Girl Name, please come forward. Learning the Law is a great accomplishment, and we are very proud of all the girls for learning it and being able to recite it in front of their peers! Congratulations! [Leader #1] During the year we brought in a new member, Girl Name, who we would like to recognize tonight. Girl Name has been looking for a Girl Scout troop for a long time, and we are so proud to have her as one of our Girl Scout sisters. She is excited and energized to learn all about Scouts and the fun activities we will take on together! Welcome! [Leader #3] As you all know, some of the fun results in patches, awards and prizes! So, without making you wait any longer, we will now present the girls with their awards. As I call your name, please come forward. 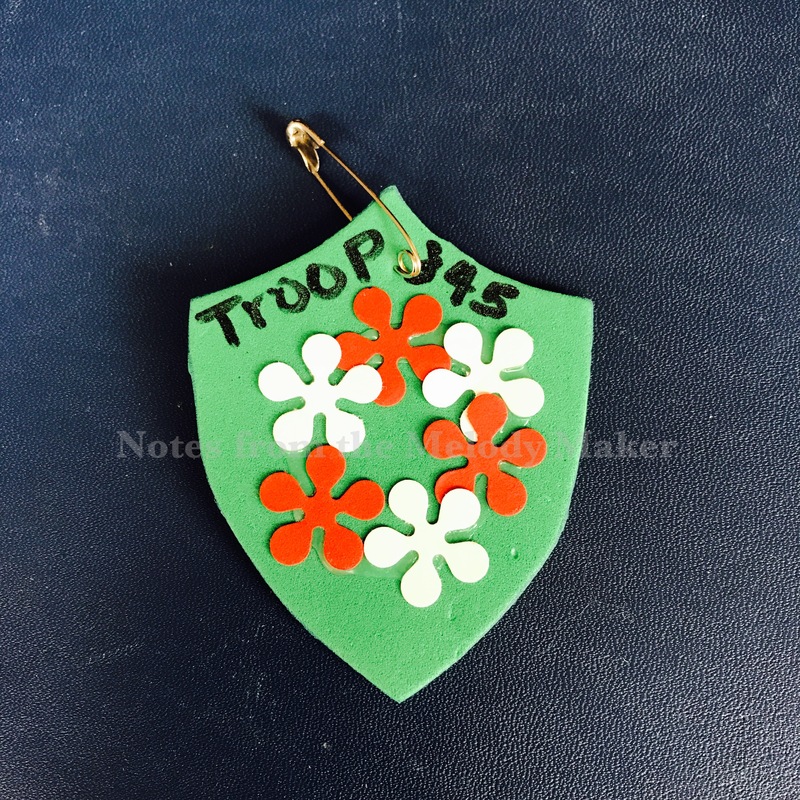 Girl Name, although you are new to our troop, you bring with you enthusiasm and friendship, and although you joined after our cookie sales, you have earned your membership star, arts and crafts fun patch, end of year fun patch and a special friendship patch. Congratulations! Go in order of who has the lowest to the highest sales of cookies. 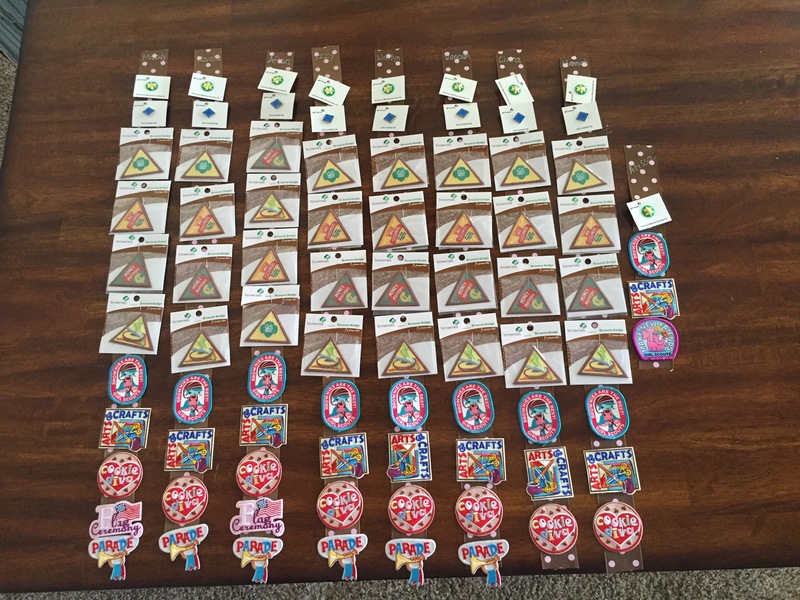 Girl Name, with your participation this year, you have earned your membership star, the Cookie Sales pin, the [list out the names] badges, and [list out names] fun patches. Your cookie sales were outstanding, selling _____ packages of cookies. You have earned the patches for your vest as well as [whatever cookie bling]. Congratulations on an amazing year! Girl returns to her spot, continue until all awards have been distributed. [Leader #2] We will close our Awards Ceremony now, but the celebration will continue. We have refreshments for the girls [and any parents who stayed]. Congratulations, Troop 345! You have had an awesome year! As I was casting around to find something for our Girl Scouts to do this evening as we prepare for Girl Scout Week (March 8-13), I came across a really nice graphic – from last year! I recreated it for this year and wanted to share. I have made this so it will print on 8.5 x 11 paper landscape, and can be folded in half. I’ll be having the girls glue it to a tongue depressor for a cute sign to remind them of each day’s theme next week. Click the image for a 300 dpi version that you can download and use for free. 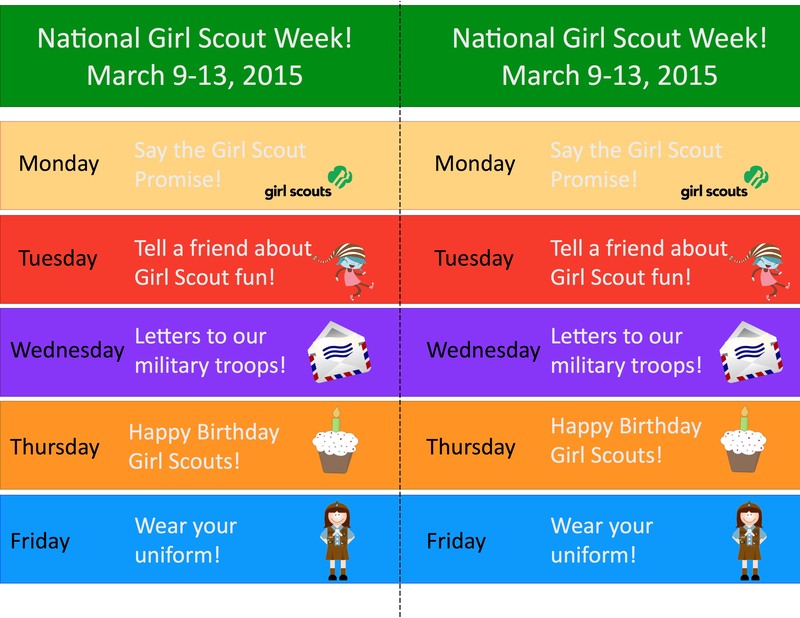 Have fun with your Girl Scout Week activities! We are in our second year of Daisy Girl Scouts, and discovered over the summer that our first year was, shall we say, informal. We had a lot of fun with the girls, went on some fun field trips, and made great friendships, which is most of what scouting is about! But, having become a co-leader of our troop, I was invited with the other leaders to attend a Girl Scout kick off meeting this past August, and we learned that Daisy Scouts can do even more than what we already did! So, the three co-leaders have decided to start some new fun things for our Daisies for their second year. Last year, we didn’t do a Dedication Ceremony or even an Invocation, we just made sure the girls knew their stuff and they earned their petals. This year, we wanted to do a Rededication Ceremony for them, so they would start learning some of the pageantry that future levels of Girl Scouting all seem to utilize. Ceremonies are a great way to place importance on something — “putting a point on it” so to speak. Dedication to Girl Scouting is one way to welcome the girls back to Scouts after a great summer. Since I searched the web and drew different bits and pieces from many resources, I figured I would go ahead and share with others. Since we did not pick up any new Daisies this year, this ceremony is specific to a Rededication, rather than an Invocation and/or Dedication. We kept it simple, but if anyone can use any bits or pieces of this for their ceremony, please help yourself! Cut out sections and paste to notecards. Number the cards so they don’t get out of order. All stand in a circle with Leaders at the front, a small table will be needed to hold the pins. Leader: Where are the Daisy Girl Scouts of Troop 345? Leader: Tonight we are confirming our continuing dedication to be the very best Daisy Scouts we can be. 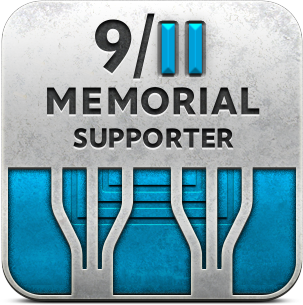 Each of you is an important part of our troop, our families, and our community. As Girl Scouts, we promise to be the very best person we can be. Let’s make that promise together, now, by saying the Girl Scout Promise. Everyone raise your hand in the Girl Scout salute. Leader: Last year, we learned about the Girl Scout Promise and the Girl Scout Law. These are valuable tools to help us each as we grow and learn about the world. In Girl Scouts, each girl is special and recognized as a valuable member of the community by older people – parents, leaders, neighbors, and community members. This year, we will learn about our individual strengths and also how we can work together as a team toward mutual goals. 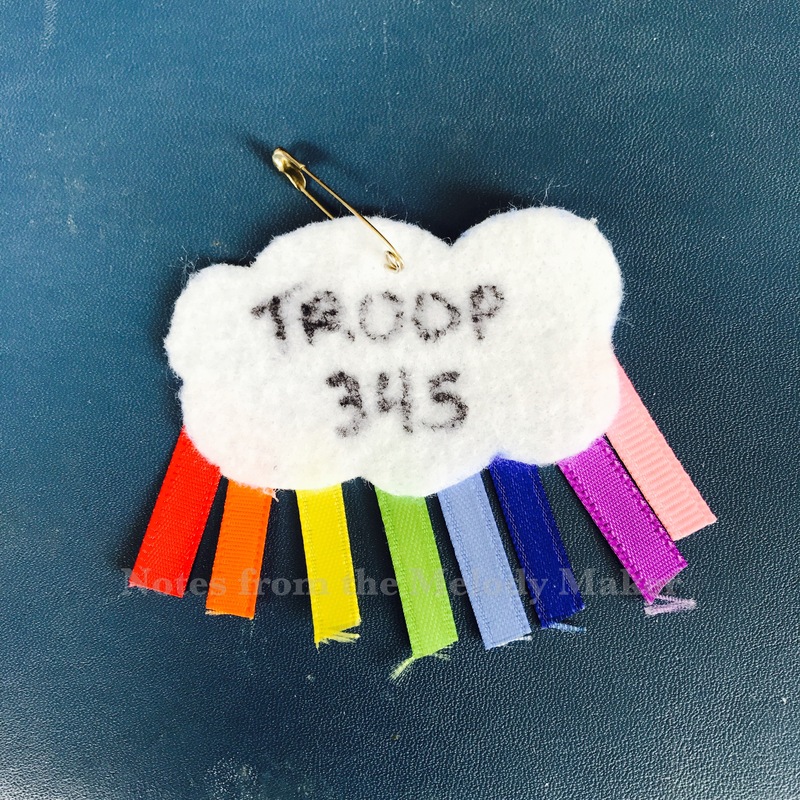 Leader: Troop 345’s Daisy meetings will be a place where each girl’s individuality is valued. It will be a place where the importance of caring for ourselves and others will be emphasized. We will learn about our world and ways to care for nature. We will have fun! This will be a place for each girl to live the Girl Scout mission statement: “Girl Scouting builds girls of courage, confidence and character, who make the world a better place.” Now, it is time for each girl to be called up and be rededicated to Daisy Scouts. Leader: Welcome back, ______________________. Do you promise to try to be the best Daisy Girl Scout you can be? 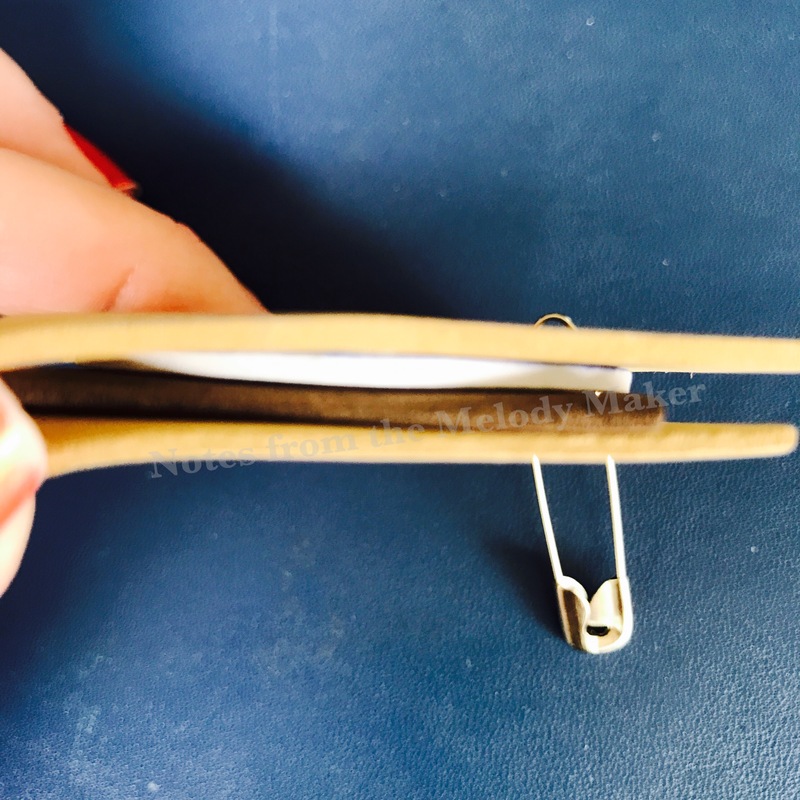 (Girl responds yes) Here is your Membership Star, and your cookie sales pin, your safety pin, and your first Journey book, which you earned through your hard work last year. We are proud to have you in Daisy Troop #345! She pins girl, shakes her left hand and makes the Girl Scout sign with her right hand. Directs girl to return to her place. Leader: Daisy Girl Scouts are named after the founder of Girl Scouting in the United States, Juliette Gordon Low, whose nickname was Daisy. She brought Girl Scouting to the United States from England. For over 100 years, Girl Scouts have been teaching girls about their world and how to be a good citizen. Last year we earned the ten petals of the daisy, with each petal representing a line of the Girl Scout Law. This year we will take three journeys, each one focused on a different aspect of the world we live in, and preparing you, the Daisy Girl Scouts of Troop 345, to bridge up to Brownies next year. Leader: We are excited to see all your lovely faces, eager and ready to continue the Daisy Girl Scout fun! Now let’s sing the first verse of Make New Friends. Our Daisy Scout troop went on a field trip last week to California Pizza Kitchen. And what fun for little girls! Who doesn’t like pizza and being with their friends? They showed the girls all through the kitchen, explaining all the different equipment and food safety features, and then the girls were invited to make their very own pizza! Someone suggested making a heart shaped pizza, and it was over…there were a dozen heart shaped pizzas, lol. And, perfect timing for Melody’s birthday, they gave us a CPK Kids VIP pass for a free ice cream. We will be going there for her birthday on Wednesday. Nice!